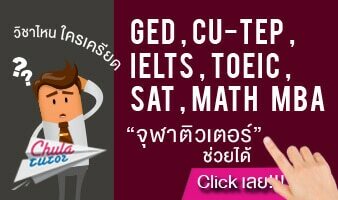 After learning about patterns and techniques for IELTS Writing Task 1, this issue will provide you about Writing IELTS Task 2 which is about writing an essay (minimum 250 words) in 40 minutes. You will be given an essay topic such as society, travelling, culture and sport and you have to write an opinion about that topic. Also, be ready for the hard cases. You may be given three sets of bar charts or a bar chart with a pie chart. Make sure to mention the relationship between the charts. Here is my suggestion. Practice writing with sample topics and find someone to score you. Read the model essay as much as you can with diverse type of tasks. Hopefully, you’ll see the repetitive pattern that can be a vital point in your development. In report essay, there are five general points that should be noted. No matter what type of graphic data is given. (1) What the graphic is representing, which will be given in the task paper. What you have to do is to paraphrase it. (2) Continue with general picture of the data including distinctive features of the graphic by looking for highest-lowest, largest-smallest, best-worst, longest-shortest, tallest-shortest, or deepest-highest. (3) Make comparison and suggest the trend of the data. (4) End with a conclusion idea. Task Two is report essay, which has nothing to do with your opinion (or anyone’s opinion, for that matter). Your job is to interpret a graphic data into a written text. Unlike Task Two where you will be given questions, this task has no guideline questions. Therefore, the most important thing is to select the right angles to write about, using around 150-170 words. There are four criteria to be concerned just like Task One but the detail of assessment is different. Please see this link. Formal language means the language we use in serious situation such as school/university essay or paper, job application letter, or published articles. On the contrary, informal language means the language we use with friends and family in everyday situation such as note for friends, e-mail to relatives, or wishing cards. In IELTS, of course, you should use formal words as much as possible. Here are some words that should be noted. More interesting words are in the link. For this type of essay, you will be given a problem and asked to provide solutions, accompanied with related examples or supporting evidence. The problem will mostly comes form of How-question. However, you may be asked What is the best way to …..? or What can be done to ….?. For sample topics of problem and solution essay, go to this site.